This is yet another review I’ve been meaning to do forever but I’ve gained a whole new appreciation for my Z-palettes lately so I had to get this out stat! For those of you who don’t know, Z-palettes are empty, magnetic, cardboard and plastic containers that allow you to organise your makeup in a way that works for you. They’re great for compressing your makeup collection and they make items like eyeshadows and blushes far more portable. I bought my first Z-palette (a plain black one) almost 2 years ago and it was very much loved. 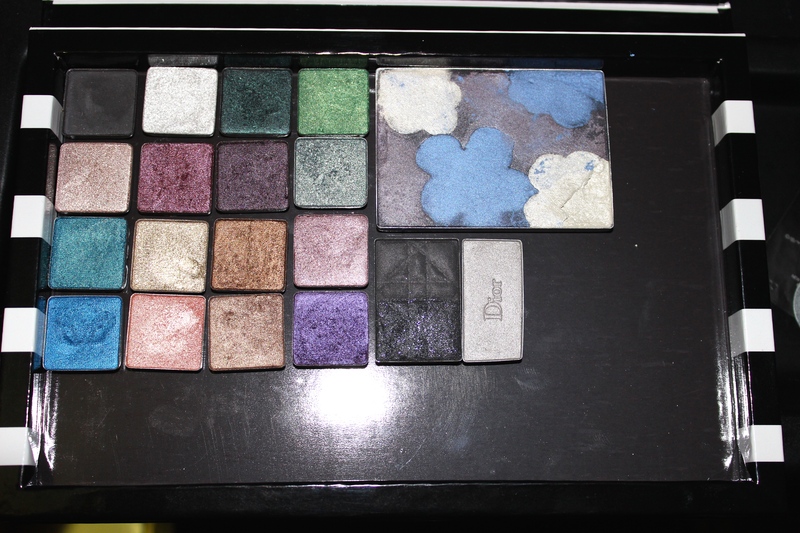 It’s a bit grimy looking now so no pictures but I will show off these Sephora branded ones I got earlier this year. I’ve been super over a lot of MAC’s collections over the past few years and I swore I wouldn’t buy into the hype but here I am, the proud owner of two of the lipsticks in The Matte Lip collection. I ordered Fashion Revival and Living Legend and I couldn’t be more pleased. 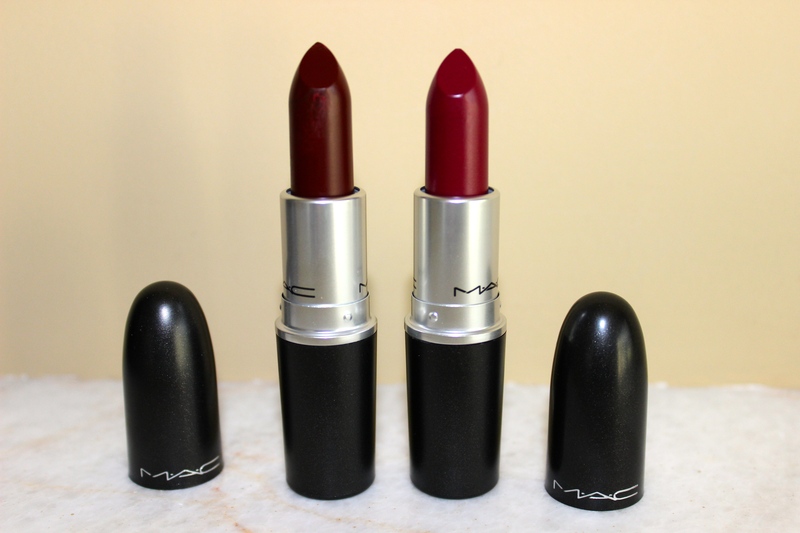 There are eight lipsticks in the collection with Heroine being the only one that is part of the permanent collection. I already own Heroine and I have numerous reds so Fashion revival and living legend were the only ones that jumped out at me. I ordered these online but I’ll be sure to pop into the shops on Friday, when they are released in MAC stores, to see what the other colours are like in person. L-R: Living Legend, Fashion Revival indoors daytime w/ flash. 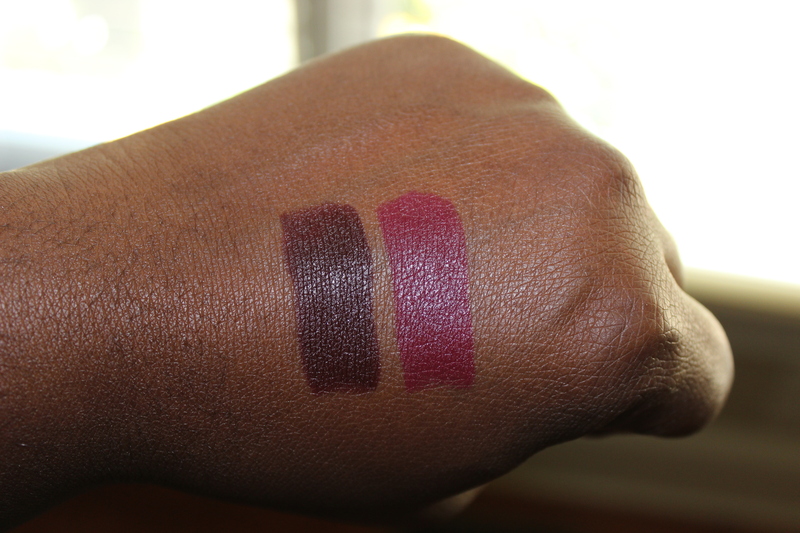 Living Legend is a fantastic deep aubergine colour that swatched with full opacity in just one swipe. I’ve been on my dark lipsticks a lot this year so this is a very welcome addition. Fashion Revival is a dark raspberry that’s also right up my street. I was scared it was just a more matte version of Rebel (my all-time favourite MAC lipstick) but happily it wasn’t too similar. 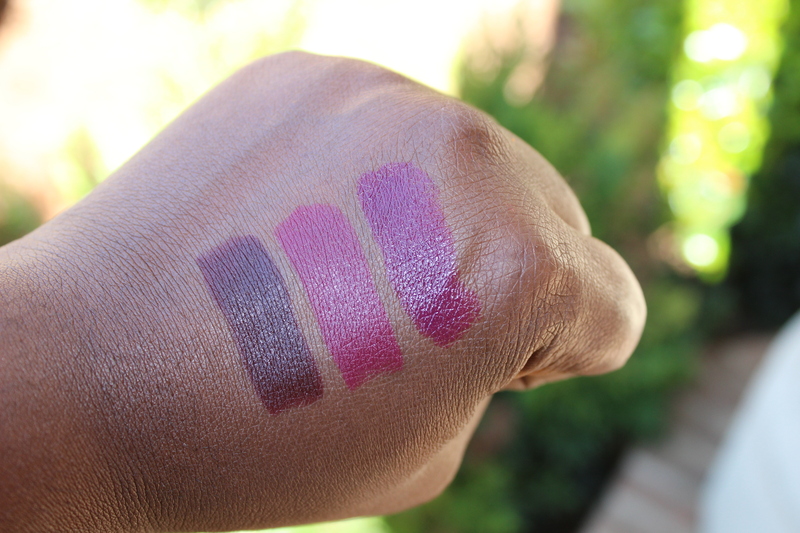 Rebel is definitely more purple and generally darker overall. Now be aware of the fact these lipsticks are in MAC’s matte formula and NOT in their retro matte formula like I originally believed. The formula is slightly more matte than their amplified lipsticks but not a true matte matte like Ruby Woo or Flat Out Fabulous. All in all, this is a nice collection by MAC and I’m sure they’ll sell in their shed loads so be sure to check them out when they hit stores this Friday. 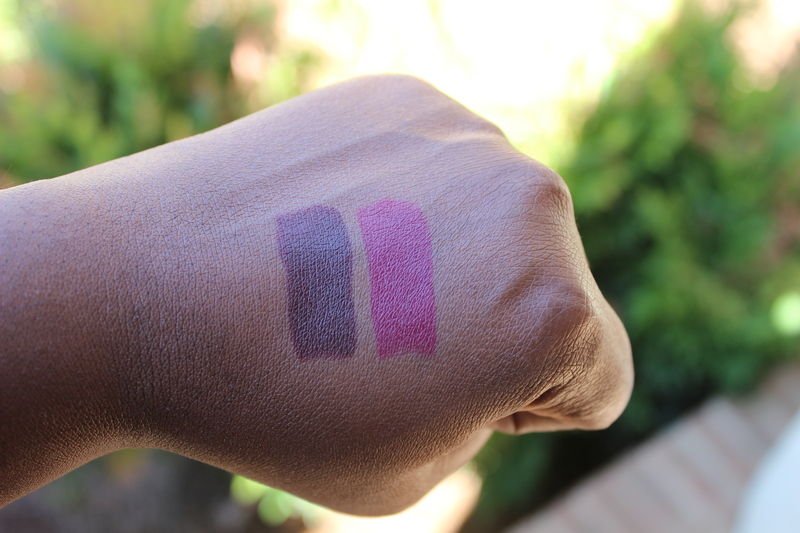 Look out for a FOTD featuring these very soon! The MAC Matte Lip collection can be purchased here or in stores on Friday for $16 (yes we see you constantly increasing your prices MAC smh) and I highly recommend them. There are also six pro longwear lip liners and three blushes that are part of the collection so be sure to give them a gander.